The city of Rio Grande lies on a narrow peninsula near the southern end of Lagoa dos Patos, South America's largest lagoon [see state map]. The peninsula is about 2 km wide and 7 km long [see area map]. Rio Grande is 18 km from the Atlantic Ocean, 60 km from Pelotas, 320 km from Porto Alegre at the other end of the lagoon, and about 5,000 km from Brazil's northernmost tramway systems that operated in Manaus and Belém. It is the southernmost large city in Brazil and one of its busiest ports. 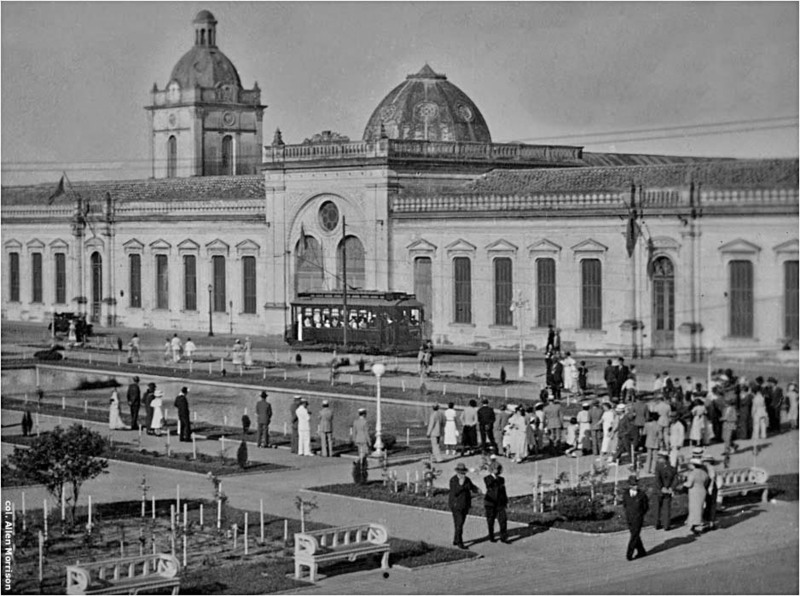 Population of 40,000 in 1910 made it the second most populous city in Rio Grande do Sul state. 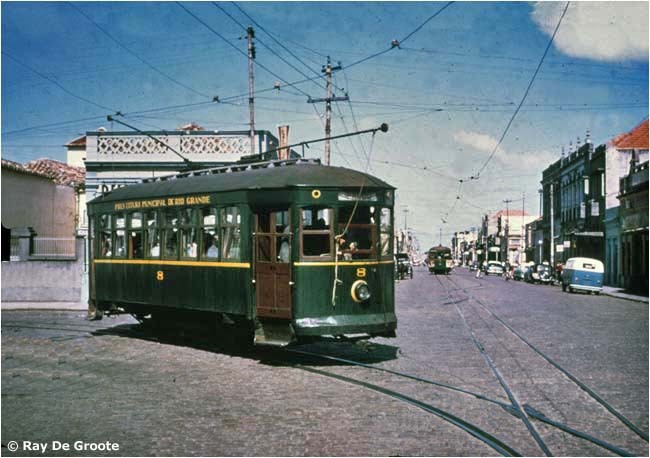 Its 200,000 residents today rank it 10th in that fast-growing state..
Like nearby Pelotas and Porto Alegre, Rio Grande had an urban street railway before it had long-distance trains. 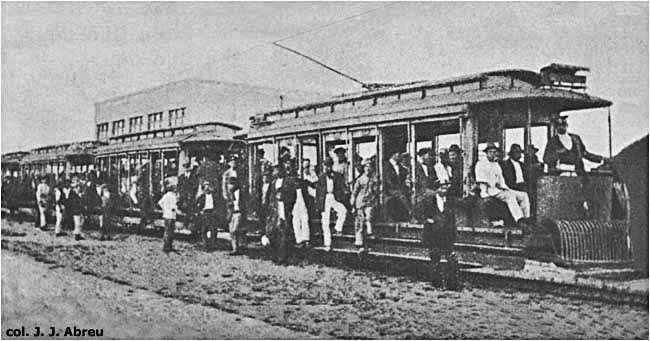 A local industrialist named Antônio Cândido Sequeira wanted to develop transportation facilities in the region and founded Companhia de Carris Urbanos do Rio Grande on 23 May 1876. As the steam railroad approached Rio Grande, CCURG inaugurated a mule-drawn tram line from Praça Xavier Ferreira to the new railroad station – the Estação Central – on 2 November 1884 [see city map]. Steam trains began carrying passengers a month later, on 2 December 1884. 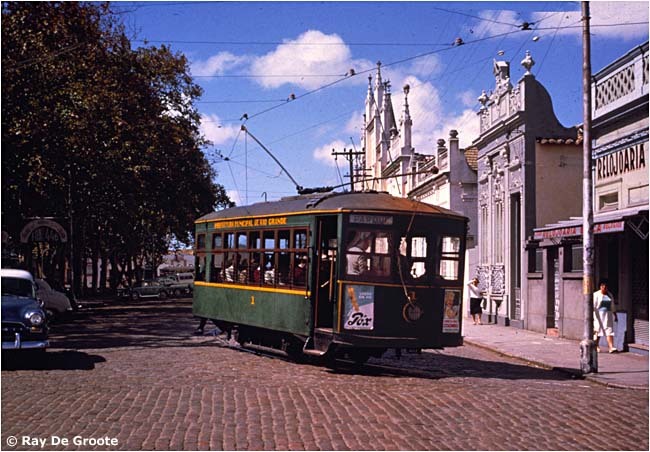 They went only to Pelotas and Bagé at that time, did not reach Porto Alegre until 1900. 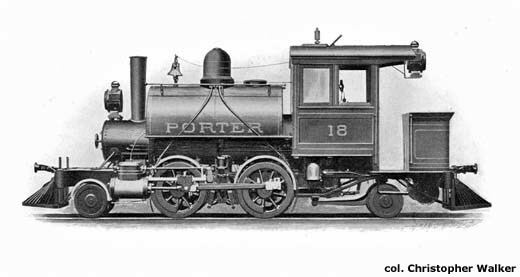 CBSM locomotive number 2, named "Formiga", also came from Porter. 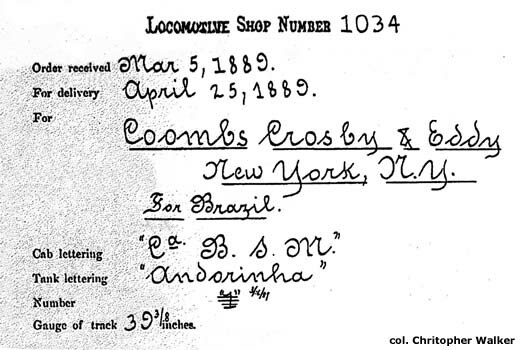 CBSM acquired passenger cars, began tests in December 1889 and started transporting Brazilians to their first seaside playground on 26 January 1890. (Rio de Janeiro and Santos developed their beaches later.) 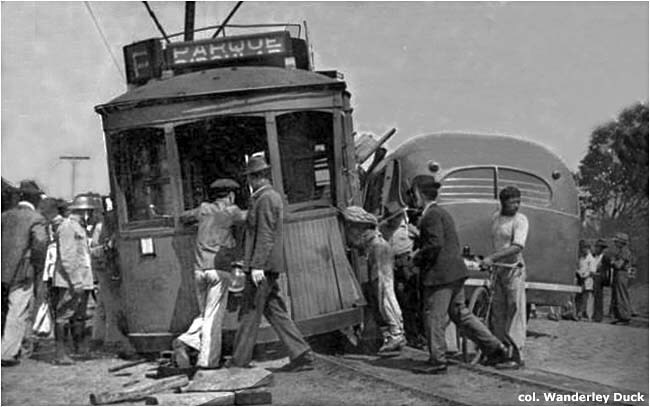 The steam line began at the end of the Carris Urbanos horsecar line at Parque [see map]. 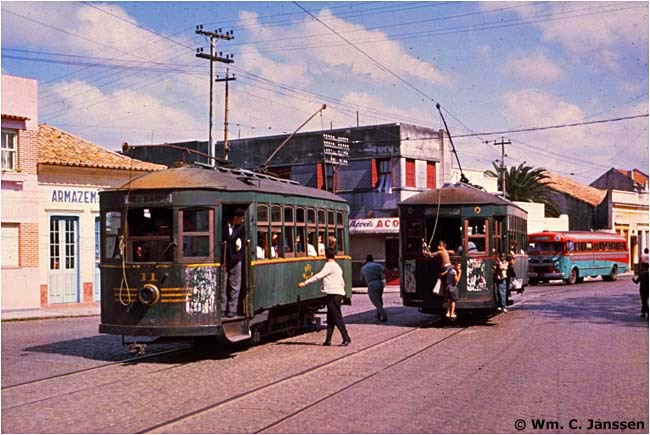 The area around Villa Sequeira station was variously called Costa do Mar or Costa da Mangueira or Casino and is named Cassino (with "ss") today. 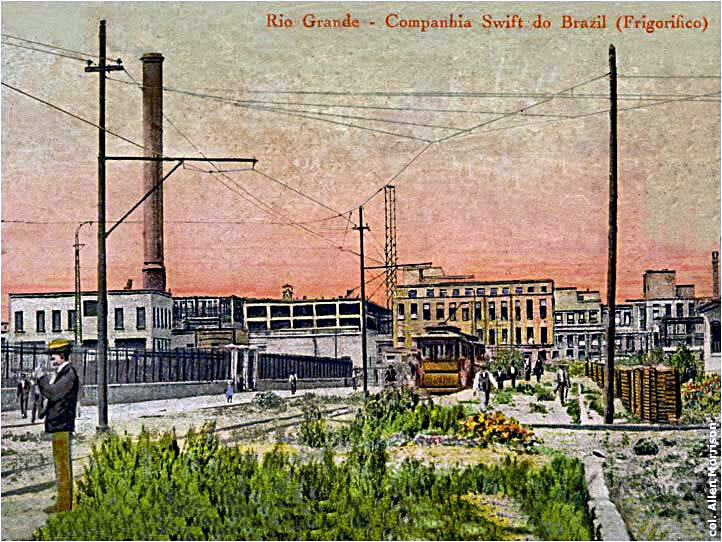 The line was absorbed by the Southern Brazilian Rio Grande do Sul Railway in 1900 [see Giesbrecht]. 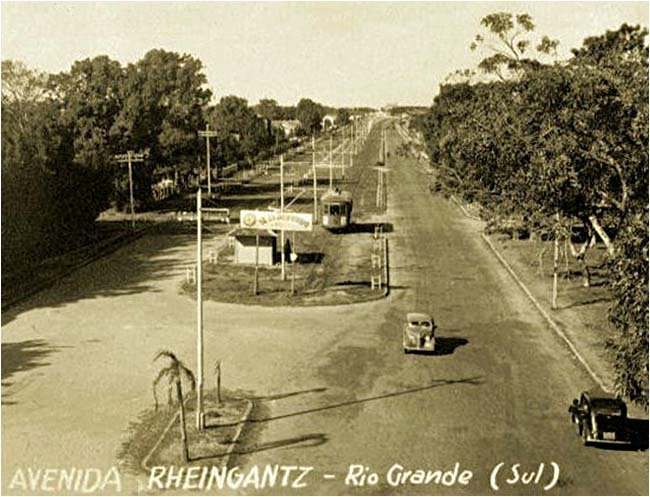 Surveys conducted by the Instituto Brasileiro de Geografia e Estatística in the 1940s revealed similar data – until 1947, when the extensão das linhas in Rio Grande suddenly jumped to 46 km! 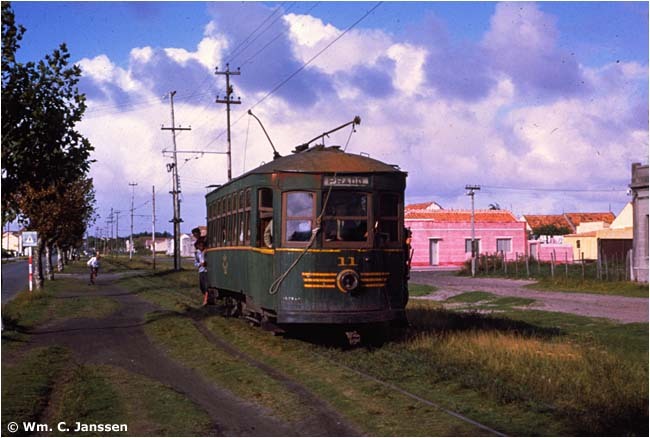 The company built the new "Saraiva" line during this period, but it was not 21 km long! 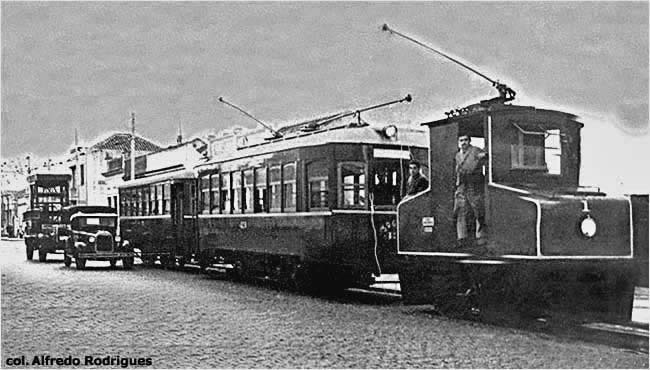 The extensão remained at 46, number of motor cars at 24 and trailers at 18 – until 1950, when the extensão increased to 47! 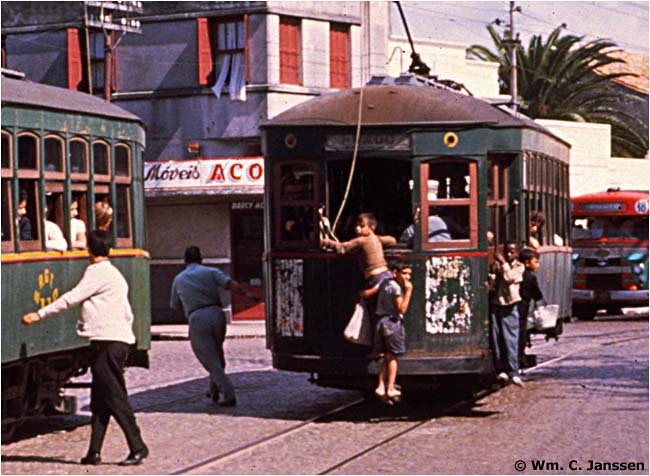 It stayed there in 1951, when the Instituto published its last detailed tramway report. United States. Reports from the Consuls of the United States, vol. XXXIV, nos. 120-122 and 133 (9-12/1890). Washington, 1890. 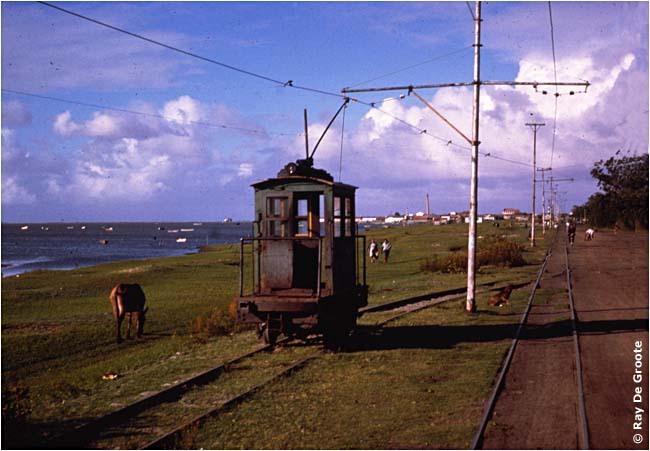 A survey of railroads in Rio Grande do Sul contains this paragraph on p. 220: "There is a line of railway just completed from the suburbs of this city to a boating place on the sea-shore by the Companhia Bonds Suburbanos da Mangueira, 18 kilometers in length. 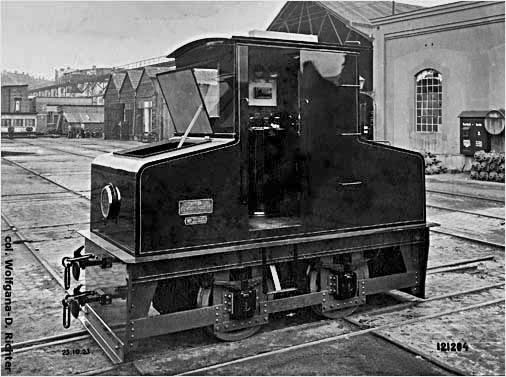 This line is well built, is 1 meter in gauge, and the locomotives were furnished by a firm in Pittsburgh, Pa."
"Bondes Eléctricos" in Correio do Povo (Porto Alegre), 17/11/1912, p. 7. 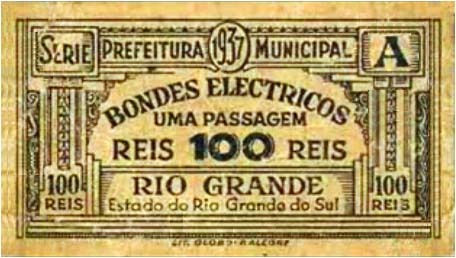 News item about the inauguration of the electric tramway in Rio Grande in 1912 – not 1911, as is often claimed. Quote: "Rio Grande, 15. Hoje, pela primeira vez trafegou, nesta cidade, um bonde eléctrico, que funcionou regularmente." The newspaper's editions of November 1911 say nothing about tramway inaugurations. Brazil. Instituto Brasileiro de Geografia e Estatística. Anuário Estatístico do Brasil, 1912-1959. RJ, 1917-59. (Issued by Ministério da Agricultura, Indústria e Commércio, 1917; Instituto Nacional de Estatística, 1930-7.) 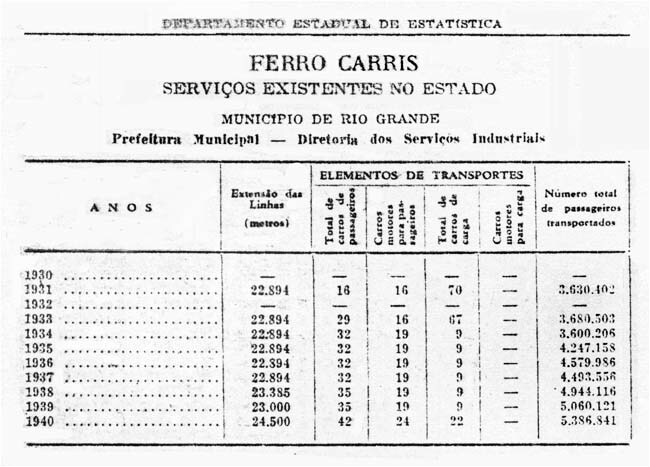 Tramway statistics for Rio Grande and other Brazilian cities. Carvalho, José Carlos de. "A Exploração do Porto da Cidade do Rio Grande." 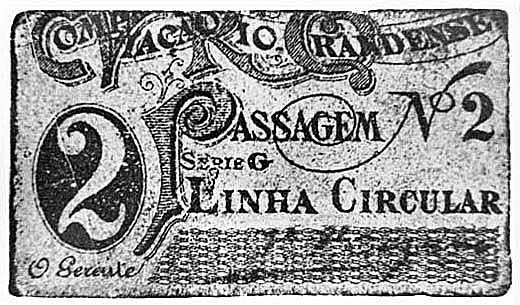 Brazil-Ferro-Carril (Rio de Janeiro), 1/4/1918, p. 168; 30/4/1920, p. 258; 15/5/1920, pp. 291-294. 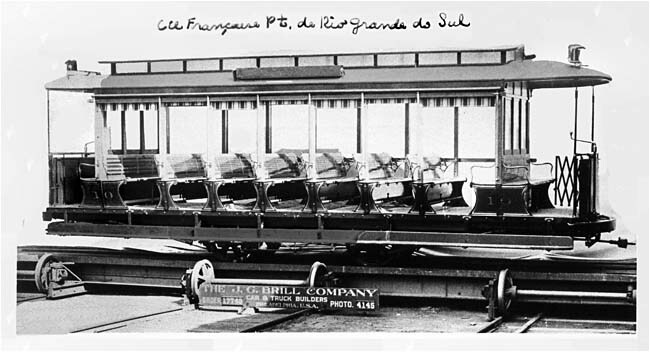 A series of articles about the formation of the French company, the involvement of Corthell and Farquhar, and the construction of Rio Grande tramway. Rio Grande do Sul. Secretaria das Obras Públicas. Direcção Geral do Porto e Barra do Rio Grande. Relatório Annual, 1923. 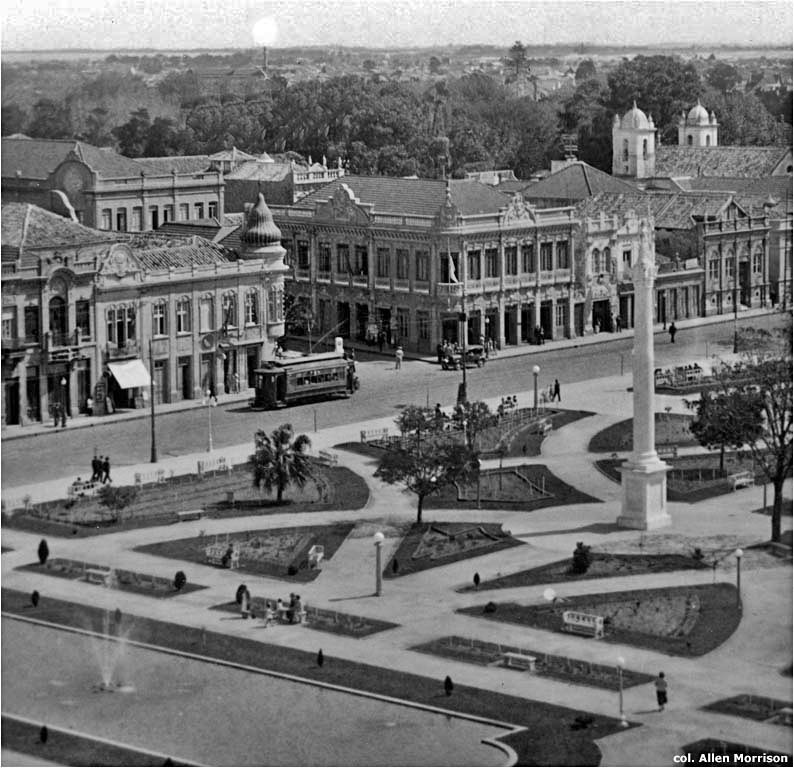 Porto Alegre, 1923. "Galpão dos bondes" section on pp. 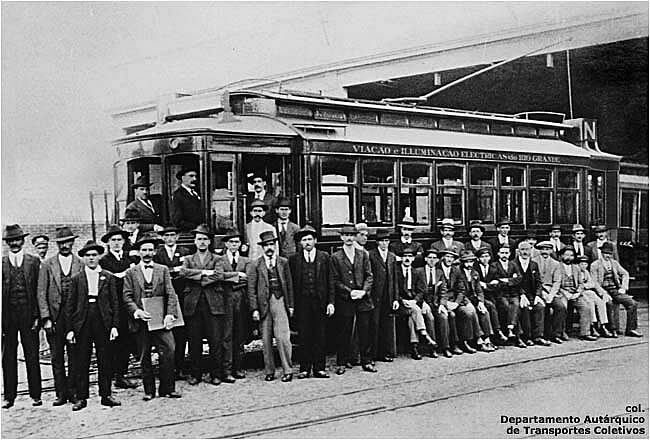 168-171 includes tram roster. Rio Grande. Prefeitura Municipal. Directoria dos Serviços Industriaes. Planta Geral da Cidade do Rio Grande. RJ, 1937. Street map, scale 1:10,000, shows track layout of the electric tramway. Waldemar Corrêa Stiel. 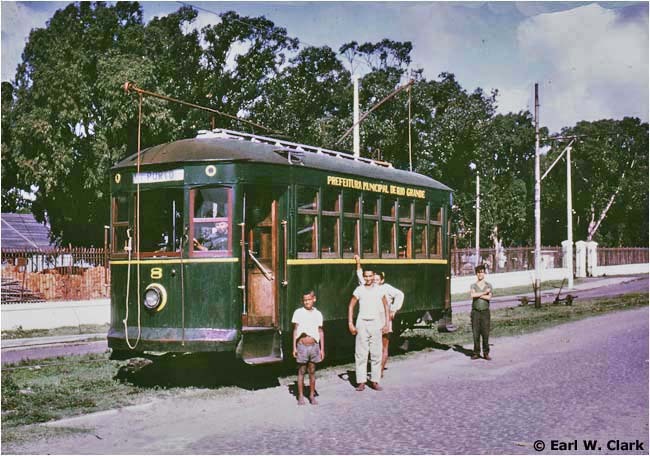 História do Transporte Urbano no Brasil. Brasília, 1984. The chapter on Rio Grande, pp. 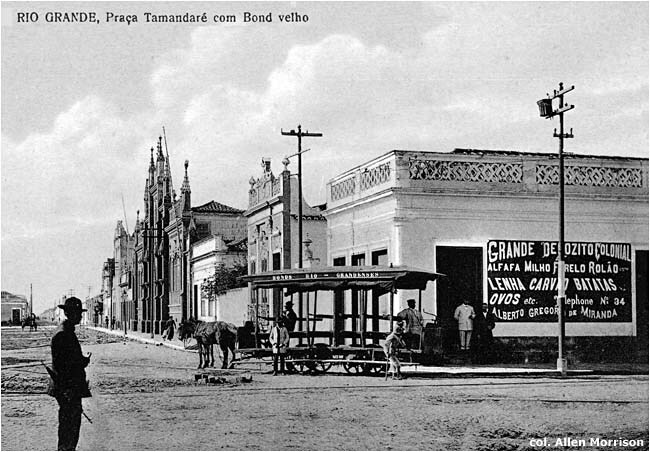 307-311, contains some interesting photographs and reproductions of tramway itineraries from undated editions of the Almanak do Rio Grande do Sul. Rebecca Guimarães Enke. 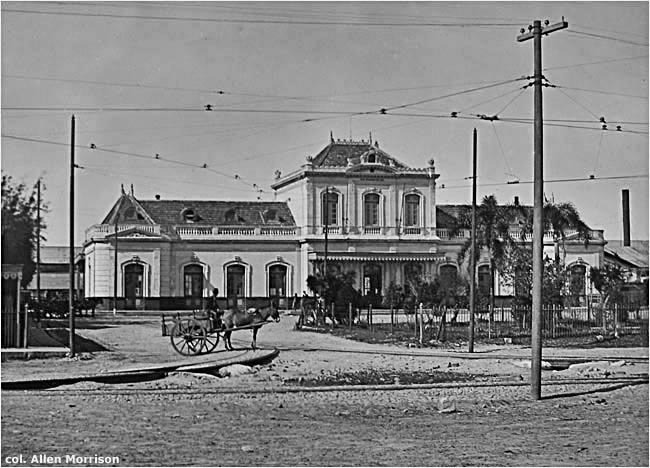 Balneário Villa Sequeira: A invenção de um novo lazer (1890-1905). PDF of 143-page dissertation at Universidade do Vale do Rio dos Sinos, São Leopoldo (RS), 2005. 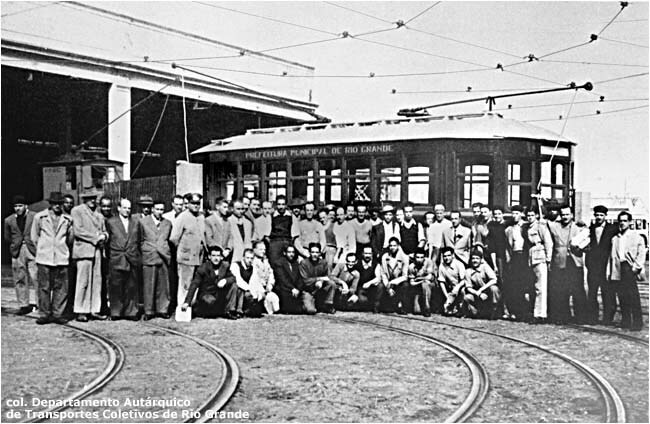 Construction of the "Bonds Suburbanos" line, pp. 52-58. 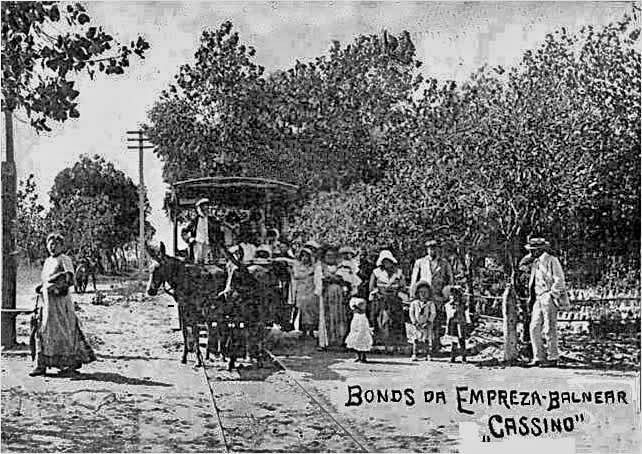 Cassino tramway, pp. 86 and 91. Ralph Mennucci Giesbrecht. Estações Ferroviárias do Brasil. 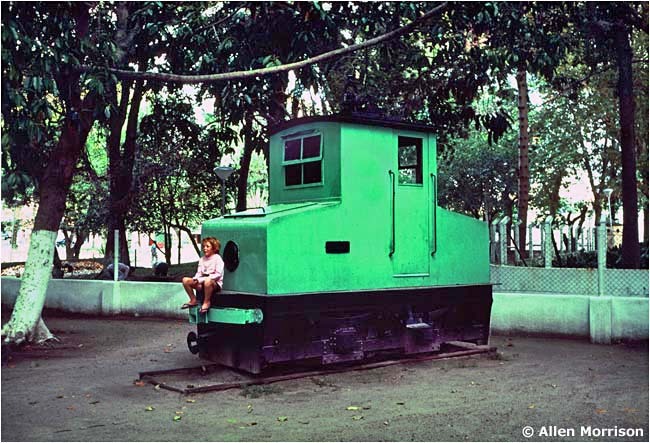 Extraordinary survey of Brazil's railroad stations and lines. The section on the Rio Grande area contains rare, fascinating information on the Cassino line and the stations along it. Links to many photographs. Antonio Cleber dos Santos Silva. 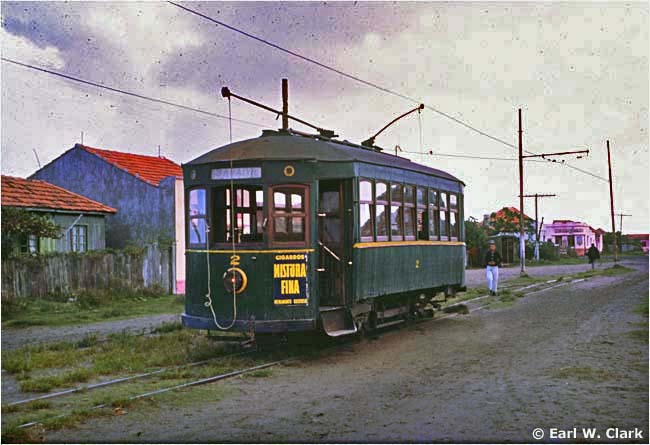 Breve Histórico do Transporte na Cidade do Rio Grande/RS. 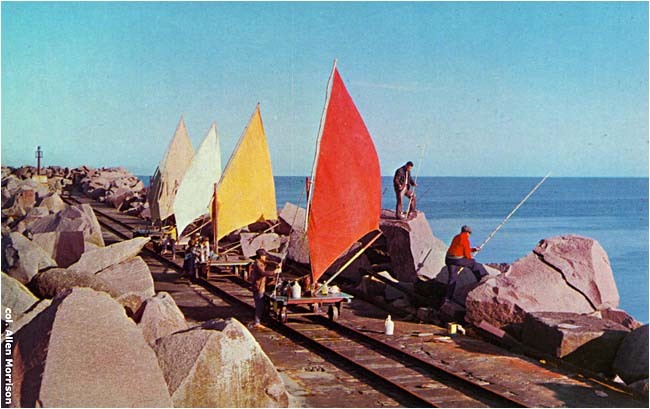 Texts and many interesting photographs in an 18:40-minute video showing Rio Grande's transport history. The author would like to thank Christopher Walker in England, Wolfgang-D. Richter in Germany, Ralph Mennucci Giesbrecht, Antonio Cleber dos Santos Silva and Guilherme Guimarães in Brazil, and the staff of the Departamento Autárquico de Transportes Coletivos in Rio Grande for their contributions and assistance in the preparation of this page.